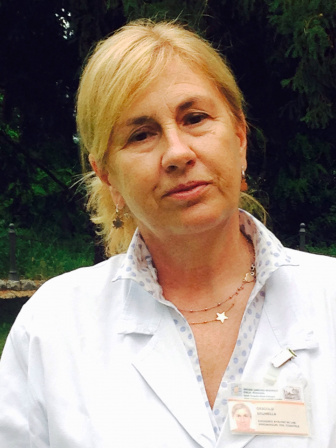 Brunella Grigolo is the Person in charge of Organization of Laboratory RAMSES, Research and Innovation Technology Department at Rizzoli Orthopaedic Institute, Bologna, Italy since 2010. She received her Biological Science degree at University of Bologna, Italy in 1980 and her PhD in Biochemistry and Clinical Chemistry at University of Parma, Italy in 1987. She has a long time experience in the field of tissue engineering for the repair of cartilage lesions or for the treatment of osteoarthritis. Her group investigates the cellular and molecular mechanisms involved in the regenerative processes. She is a current reviewer of many important Journals and participates to some evaluation boards for assignment of research funds (Italian Ministry of Health; Research Grants Council, Hong Kong. She has published over 100 manuscripts of which 70 in subjects related to regenerative medicine for musculoskeletal pathologies. She is a member of the International cartilage Repair Society (ICRS), Osteoarthritis Research Society (OARSI) and Stem Cell Research Society (SCR). Winner of the following awards: Award Certificate of Merit 7th ICRS Congress, Warsaw, 2007. Award Best Poster Convegno Nazionale AICC, Bologna, Italy, 2008. Award for the best paper. 3rd International Conference Strategies in Tissue Engineering, Wurzburg, Germany, 2012.